the new emporium store is direct reflections of cathay dragon’s design philosophy towards contemporary chinese element. 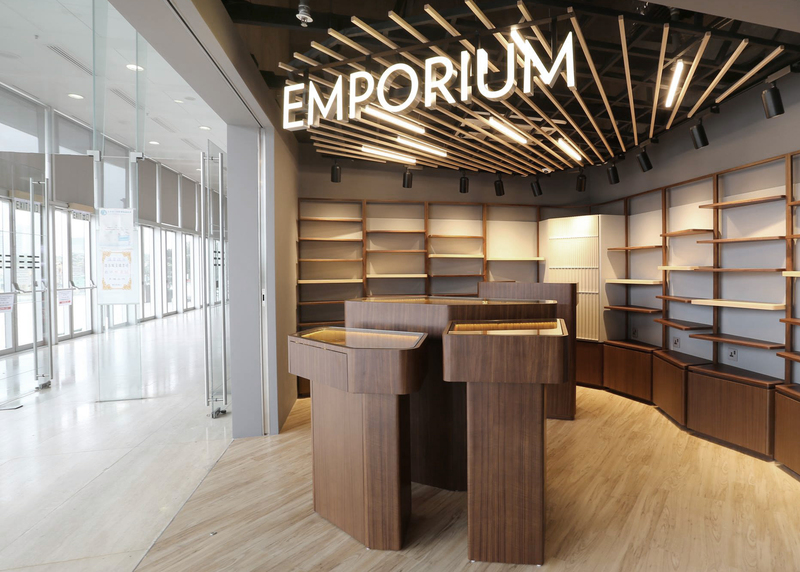 the materials used were chosen to reflect the modern chinese aesthetic, incorporating wood element into full heights shelves, island tables, and the feature led ceiling. every last detail, from the furniture to the backdrop panel, was tailor made and digital fabricated to create a bespoke interior design. the architecture epitomizes the spirit of abstract chinese art. the sky horizon is expressed through a line of highlighted panels. 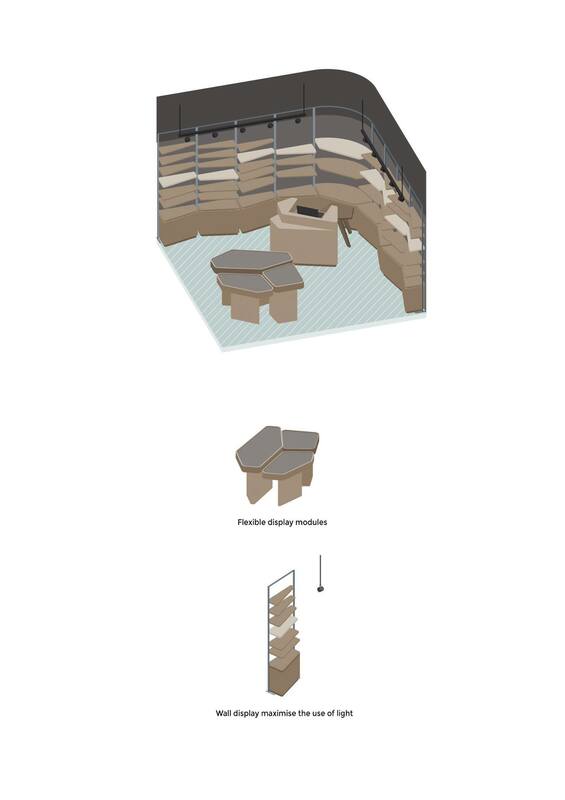 the multi level island display at the front mimic the landscape, harmonising with the full height shelves.